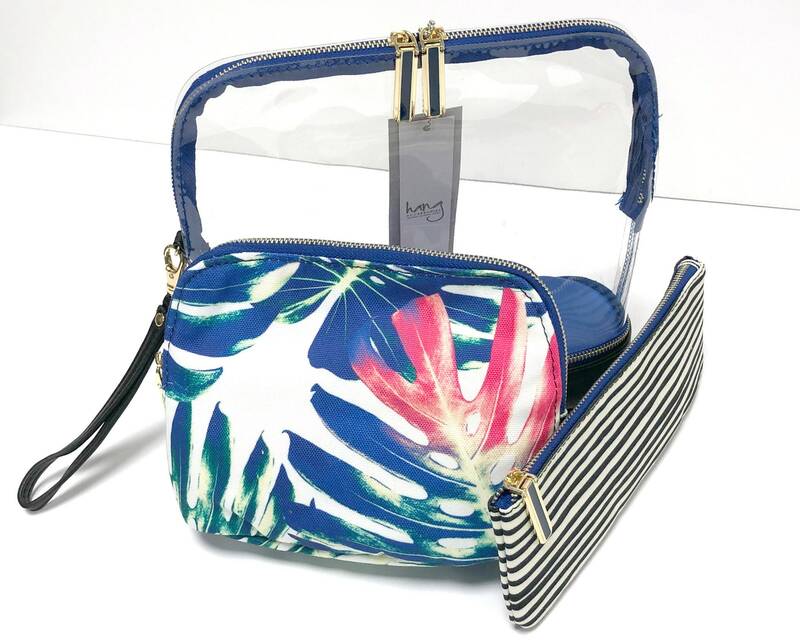 Millie Tropical and Stripe 3-in-1 Makeup Bag is a travel favorite and makeup organizing essential. Featuring a clear PVC and black faux leather Biggy bag, organic striped Middy bag, and dotted Itty bag combined and detachable for the perfect organizing travel set. 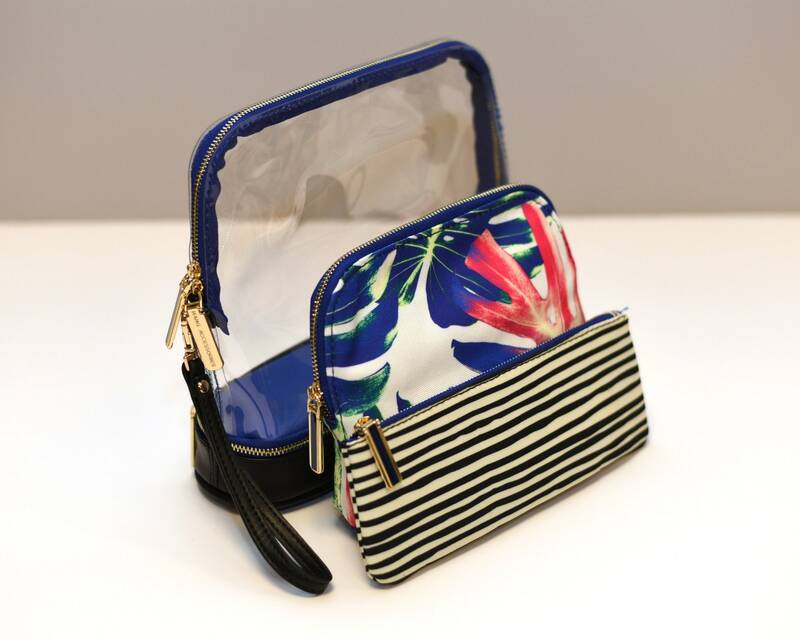 The Biggy bag features a bottom zipper compartment for extra storage and organization and a wristlet zipper attachment. All three bags feature a beautiful pantone blue binding and lining. 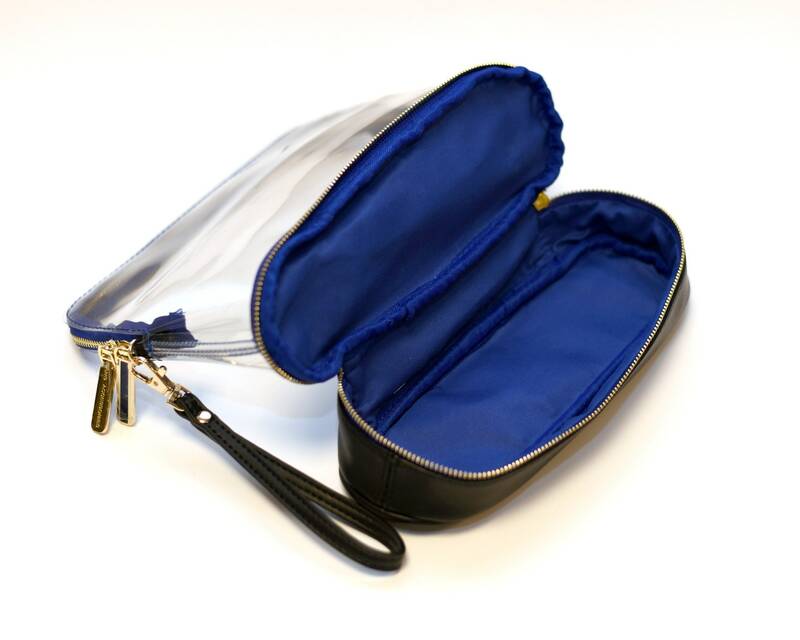 Durable and easy to wipe waxed canvas mixed with high quality faux leather makes this grab and go makeup bag a long lasting travel accessory that your makeup will love. 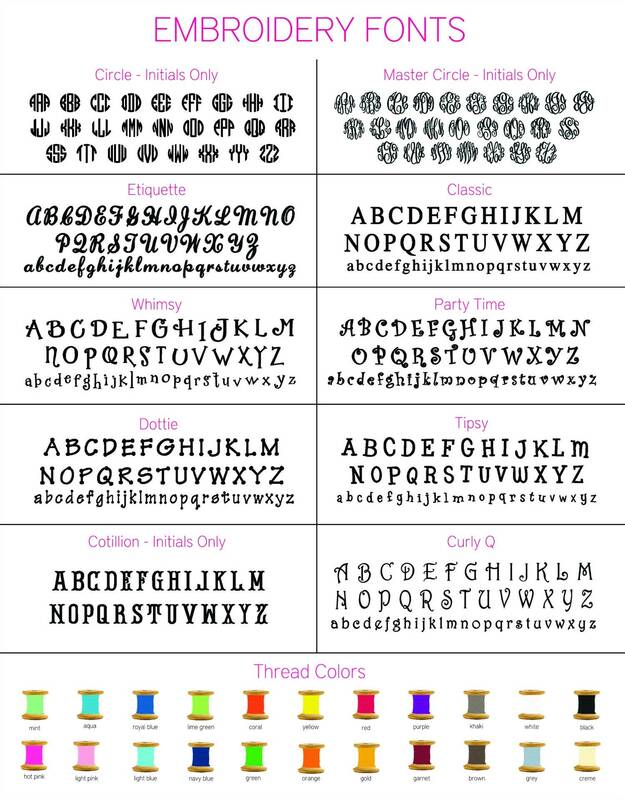 Monogram is included on the Middy (large cloth) bag.